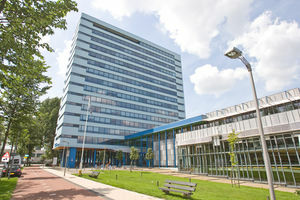 The NovAM group was established in 2003 in order to provide the faculty of Aerospace Engineering at the TU Delft with a group dedicated to the development of novel aerospace and space materials. The group is truly international in composition and strives to be world leading in the fields of selected expertise; self-healing materials, smart composites and coatings, nano-structured polymers and metals by design. In our research we explore unconventional approaches, focus on fundamental concepts but also develop successful concepts to a level suitable for absorption by the industry. We have a strong track record in preparing our students for a further career in academic or industrial research. The Novel Aerospace Materials group is involved in educational activities within the Faculty of Aerospace Engineering at both the Bachelor and Masters level. Our research is both explorative and fundamental in nature and covers polymers, ceramics, metals, composites and coatings alike. NovAM comprises approximately 40 full time members ranging from senior academic staff to MSc. students. Our facilities cover material synthesis, characterization and testing.